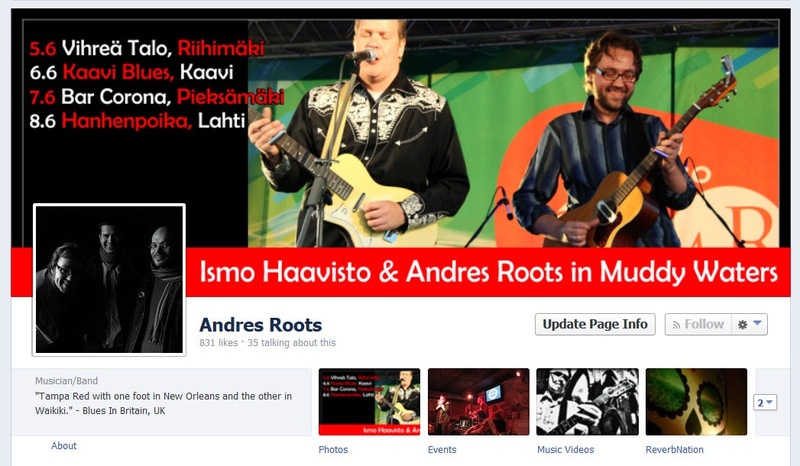 Andres Roots Roundabout: Finnish Tour June 5-8! Ismo Haavisto & Andres Roots in Muddy Waters will hit the road again in Finland tomorrow: June 5 - Vihreä Talo, Riihimäki; June 6 - Kaavi Blues Festival, Kaavi; June 7 - Bar Corona, Pieksämäki; June 8 - Hanhenpoika, Lahti. For updates, check out Andres' Facebook page!